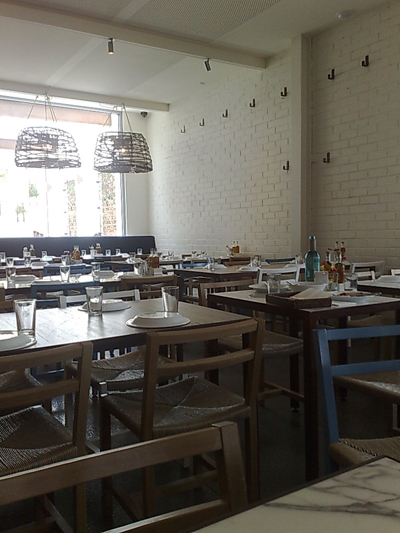 Our first official dining out experience for 2009 is at Hellenic Republic, George Calombaris' month-old Greek Taverna in Brunswick. 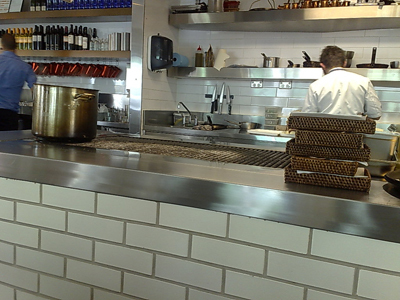 and this ironbark powered grill. 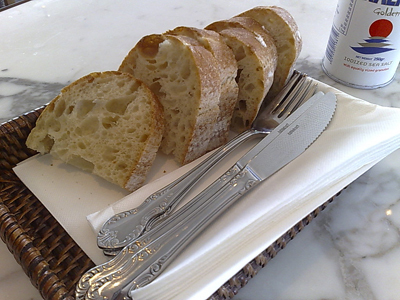 Oil and Vinegar as well as salt are set on all the tables and once you've ordered, your bread and cutlery comes. 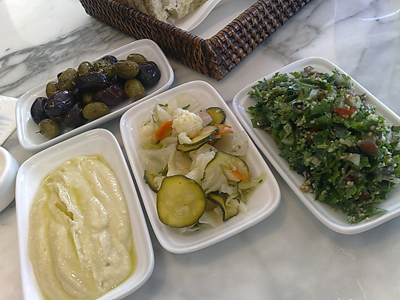 We start with the meze platter for two - the components you get do vary but the quantity and quality doesn't. mixed olives, pickled vegetables, white cod taramosalata, coriander salad - we especially loved that white cod tarama - yes taramosalata is not pink! saganaki with peppered figs - this was deliriously good and by the constant stream of these coming out of the kitchen, they are extremely popular for very good reason. To drink, we did ask for advice on a Greek wine to go with our dishes since we have no idea when it comes to Greek Wine and based on the recommendations we ordered the 2003 Raspani Reserve - a very smooth and easy to drink red. 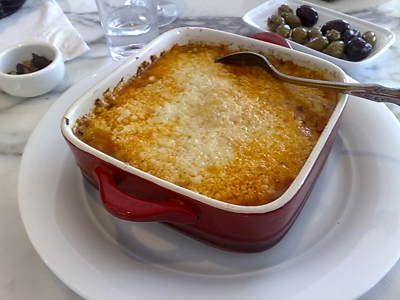 Moussaka - this is George's yia yia's recipe - underneath that molten crust is a mix of eggplant and potato slices coupled with a meat based ragu. 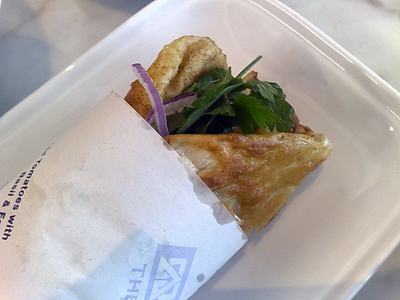 Lamb souvlaki - somewhat larger than the teaser from Taste of Melbourne but just as good. The fluffy pita sees a little time on the grill to warm and crisp its edges, it's then filled with a mustard based sauce, copious slices of lamb, a little onion and herb salad and finally fries. 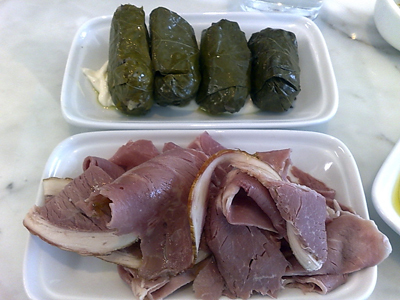 It was probably neck and neck in the popularity stakes between this and the saganaki while we were there but the funniest and groan-worthy occurrence was when one souvlaki was returned to the kitchen - the table wanted it cut into 5, so they could share it! Good grief, when it arrived on their table they ate the slices with knives and forks! 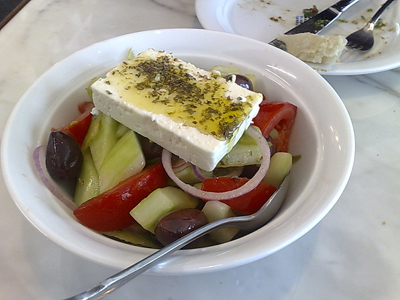 With our mains we also order the Village Salad - a mix of cucumber, tomato, olive, onion and feta. Lovely and fresh and very cleansing. 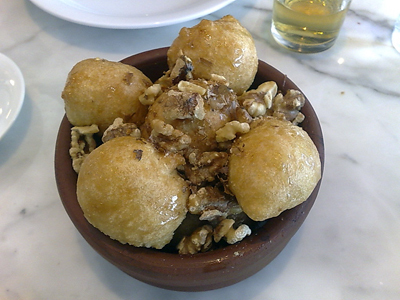 Loukoumades - greek donuts, hand made and cooked to order, come tossed through honey and walnuts. I'm looking forward to going there soon. 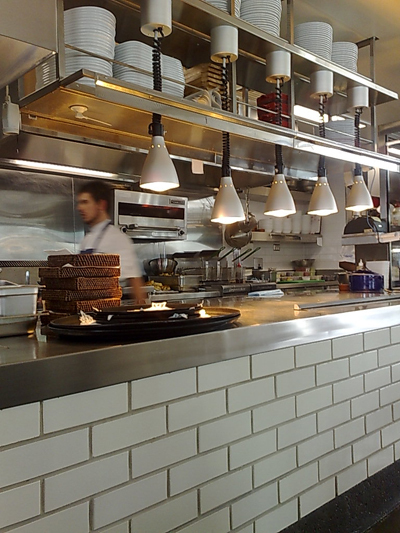 Thanks for the review and tantalising photos. 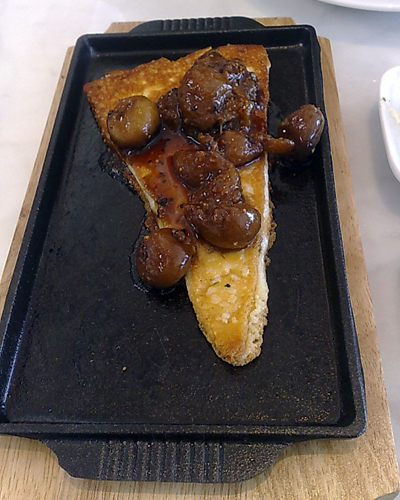 Hi - I'm trying to work out how they made the peppered figs for the saganaki. I had it at HR & also at The Press Club with halloumi. Any help? I told my Aunt and she really wants to make them. Lovley website. Great photos. Positive attitude.